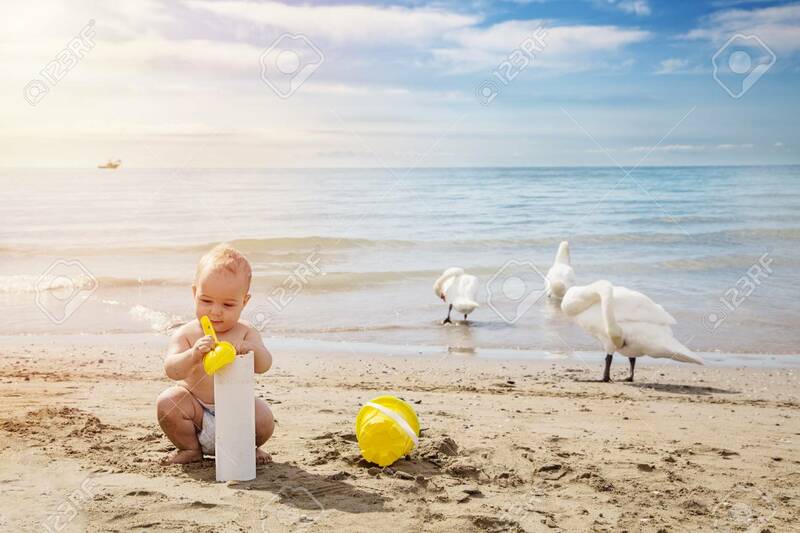 Immagini Stock - Happy Baby Boy Playng In The Sand With Yellow Scoop In Summer Day At The Beach.Outdoor, Close Up. Travel And Adventure Concept. Image 96373584. Archivio Fotografico - Happy baby boy playng in the sand with yellow scoop in summer day at the beach.Outdoor, close up. Travel and adventure concept. Happy baby boy playng in the sand with yellow scoop in summer day at the beach.Outdoor, close up. Travel and adventure concept.